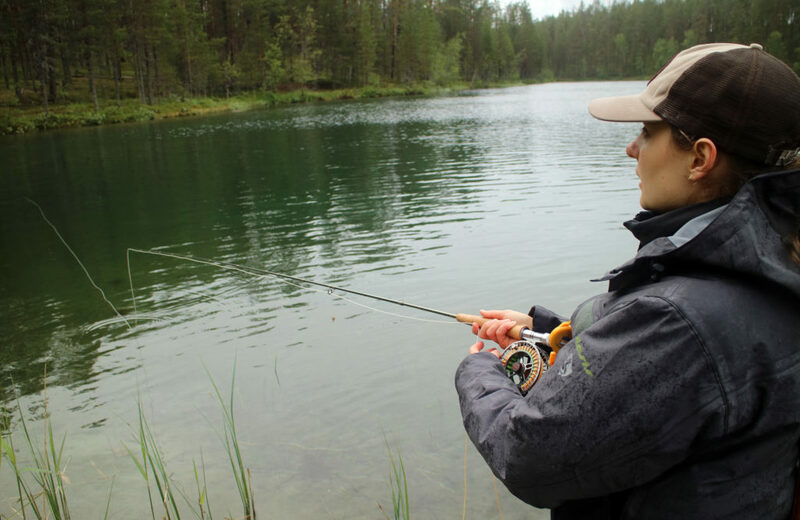 I just love fly fishing for grayling and Hossa national park is a nice place for that. On this trip I go back to one of my favorite rivers in Kainuu Hossanjoki River. We also fish a smaller river called Iikoski in Hossa National Park. On this episode you get my reasoning why grayling fly fishing is one of my all time favorites. And also the pick of the day when it comes to early summer grayling flies. Spoiler… it’s a small green fly. Click play to watch the full video and see what I mean. 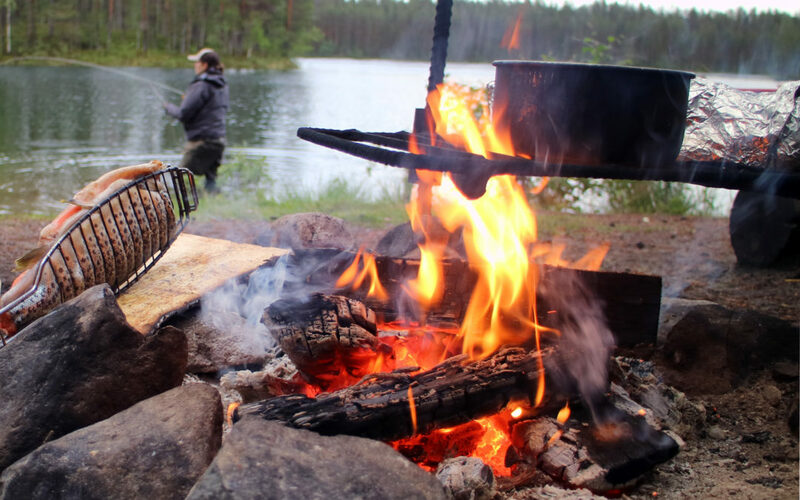 This fly fishing trip to Hossa national park offered good fishing. It was a rainy trip, and that made the grayling really active. I love grayling fishing because when they are active you get a lot of event for the day. 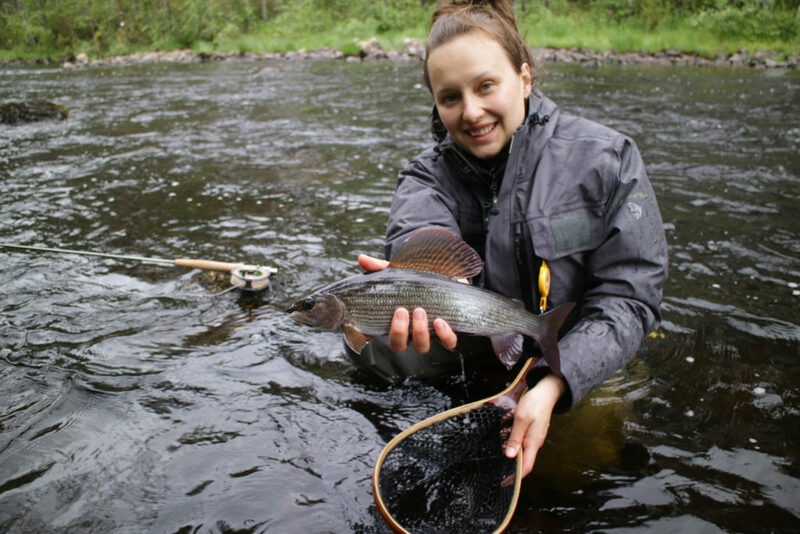 Grayling fishing has been the thing that thought me everything about fly fishing. How to offer the fly and how to net the fish and things like that. You learn with the repetition. 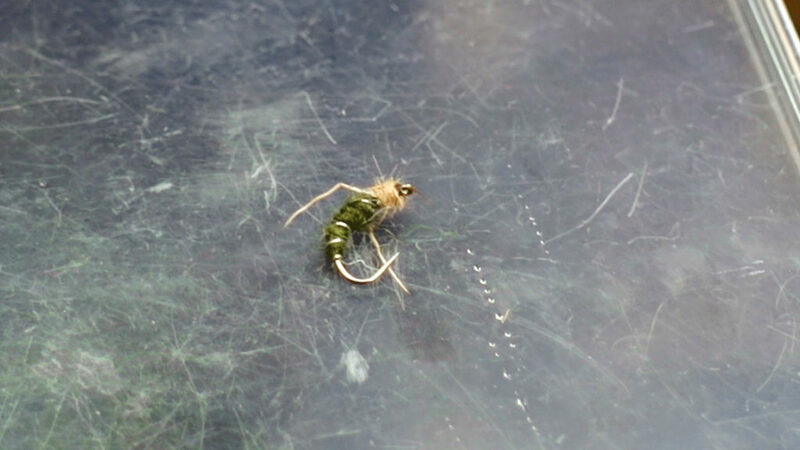 The fly of the day was small and green. I picked it to match the nice fresh early summer surroundings. So no better theory behind selecting that fly. But you know me, that’s how I roll anyhow. My first go-to-nymph, which is fairly heavy black nymph with goal bead head, didn’t work at all. Smaller fly, how ever, seemed to do the trick on this grayling fishing trip. This is Episode 046 of 10K Fly Fishing Experiment. And these are the hours 569 – 640 out of 10000. You’ve now learned little bit about nymph fishing and few types of nymphs that are good. And as you know it’s all about knowing those little tricks and tips. Yes, I have fished in Finland both in 2007 and 9n 2011. I have relatives in Nurmes. My mom was born in Turku but moved to Sweden in 1960. I was born in sweden in 1967 but moved to the United States later on. I fished in and around Tampere in 2007 and in 2011 I fished in Kuhmo area as well as Ruuna. I never did make it any further up than around Hyrynsalmi. I caught some Grayling in Ruuna. I am possibly going to Finland again in 2020. My main reason for replying is that I would like your opinion on staying in Kuusamo area or Hossa area. I am mainly interested in Grayling. I will probably camp out at a campground. Thanks for any info you can provide. I don’t know Kuusamo so well my self.. Thanks for a great link. I will definitely do some more research before I go back. I will visit family in Nurmes but then I will most likely head north for a few days. Might not go as far as Kuusamo. Looks like Hossa area is better for Grayling. Again thanks.